Australian scientist & author of “The Weather Makers” on new book “Atmosphere of Hope”. Despite what he knows, Tim Flannery explains new “natural” based tech that may prevent climate catastrophe. That’s the question asked by Dr. Tim Flannery in his new book “Atmosphere of Hope: Searching for Solutions to the Climate Crisis”. Flannery rocked the world with his 2003 book “The Weather Makers”. For a while, the Australian government hired him to coordinate climate communications. He left to form the Climate Council, with community funding. Flannery is also with the Melbourne Sustainable Society Institute, at the University of Melbourne. He’s trained as a specialist in mammals and palaeontology. We’re about to hear Tim Flannery speak about his new book, at the Town Hall in Seattle, on November 12, 2015. I thank Mike McCormack of talkingsticktv for this recording. Download or listen to this Radio Ecoshock show, the full speech with question and answer period, in either CD Quality (56 MB) or Lo-Fi (14 MB). Tim begins this talk with a climate reality check. He outlines an overview of climate science, and the huge challenges facing us. Flannery doesn’t try to sugar-coat our situation, and admits that from about 2008 to 2013 he was somewhat depressed about the prospects of severe climate change, and our lack of appropriate response. However, in 2007, following his publication of the Weathermakers, Tim was called to the Caribbean island owned by multi-billionaire Richard Branson. From that was born the $25 million dollar Virgin Climate Challenge for the best invention to remove carbon dioxide from the air. Flannery tells us Branson himself was doubtful humans will get themselves out of this civilization-wide problem. During the following years, the Virgin Challenge received about 11,000 entries. Reading through many of these, Flannery tells us he began to see hopeful signs toward solutions to lower carbon in the atmosphere. In this talk he mentions several, including carbon-negative cement (it removes CO2 as it hardens); fibre and plastics that can be made directly from CO2. There is also a type of rock (Serpentinite) that can remove CO2 from the atmosphere. Perhaps this fairly common rock could be crushed and used as beaches (as the seas rise) to capture more carbon dioxide. This is known as “carbon sequestration by mineral carbonation”. Serpentinite has been used by a Dutch firm to make allegedly carbon neutral shingles for houses. We need to remove carbon dioxide from the atmosphere. The first way is to cut emissions drastically. That must be done, but it will not reduce carbon dioxide already there, and already too high. The second way, Flannery says, is to use geoengineering techniques, like spraying sulfur into the atmosphere to deflect sunlight. But this has grave risks for weather systems, he says. Flannery tells us there is a “third way“: solutions to save nature without wrecking nature. Although these ideas mimic nature or use nature’s tech, they do require some energy to deploy them. That energy would have to come from solar, wind, or perhaps burning biomass? I recommend this talk as inspiring, and it will teach you new things. Personally, I did not find enough in the talk to convince me we have a way out, yet. My thanks to Mike McCormick of talkingsticktv, and host of the Mind Over Matters radio show for this recording. Mike produces a lot of worthwhile original material. ← New Year NEW CLIMATE! Alex. Thank you for this! After years of reading and hearing climate scientist after climate scientist speak very darkly about the future, it was so nice to feel some real hope. However, why do we allow the upper classes, the rich to do what ever they want? Why do they not have to change their lifestyles? … Oh,wait, gee they have to buy an electric car…. when someone says that there is a law passed that states that anyone making over maybe, 150,000 a year IS LEEGALLY REQUIRED TO PUT SOME TYPE OF RENEWABLE ENERGY SYSTEM ON THEIR HOME … THEN, WE WILL START TO MAKE SOME PROGRESS.. When the rich or even the business sector, is legally limited to how much they can fly or even IF hey can fly… then, I'll believe we are making progress… when we start to REALLY go in the direction of small farmers…and use THAT AS A JOBS PROGRAM…and give out land grants for people to do so, and then, the do not have to travel to work in rural areas, negating the necessity of a car… at least not having to run one every day… then, I'll start to believe we are making progress… so far, all we do is come up with GADGETS… we STILL DO NOT BELIEVE WE HAVE TO CHANGE OUR BEHAVIORS AND LIFE STYLES..
Ooo Wanda, you said a lot. Would you mind if I read this comment on the radio show? Why are the comments focusing so much on traveling like commuting or flying, when most of the climate change is produced by animal farming, this according to the world bank, UN and others. This is the elefant in the room. Watch Cowspiracy eg on YouTube to know the truth. Elephant is the English word, while Elefant was German. Sorry for that. I can't share your enthusiasm for Tim Flannery. I will grant that he alerted the world, and Australia in particular, on the dangers of climate change, and deserves his due recognition for his climate work. 1. Flannery doesn't seem to have enough grasp of the more intangible social and economic forces going on. Hard to explain this in a comment. But Pope Francis has made a huge impact by bringing to the fore the ethical dimensions of what needs to be done in climate change action. He's one of the leaders in bringing about changing attitudes to poverty and human rights as they are impacted by climate change. It's not all about technology. Sorry – but Tim Flannery is all too easily a sucker for the nuclear snake oil salesmen. The #1 cause of climate change, deforestation and mass extinction is eating meat. Do you think 7 million people will stop eating meat and wasting food? In 15 years, 40% of humanity will be short of water. In 60 years, 90% of soil will be gone or useless. The number one thing YOU can do to stop runaway heating and mass extinction is to stop eating meat. But, do you really believe 7 billion people will stop eating meat and wasting food? They will if you have a carbon price on meat to cost it out of the market. We can do this using James Hansen's 100% private citizen carbon tax dividend with 0% for government. Meat substitutes won't kill you, but meat will kill earth. Half the soy grown in South America is shipped over to China to feed their pigs. The #1 threat to rainforests is eating meat. The increase in pasture lands in South America intensified the Sao Paulo drought. The massive failure of the so-called carbon credit market is overwhelming in its political-economic hubris. I don't see how one can comment on it without mentioning James Hansen's 100% private citizen carbon tax dividend, payable with direct deposit to you, with 0% going to government or corporations. Naturally, governments and corporations abhor this prospect and are fighting tooth and nail to prevent it. So people like the Rockefellers pay groups like Bill McKibben and Naomi Klein to support a bill sponsored by people like Bernie Saunders and Barbara Boxer that would give the government 60% of any future carbon taxes. This effort goes against the very spirit and letter of James Hansen's proposed dividends. James Hansen also said that his carbon tax dividends would unite both left and right because it excludes government and provides the most efficient way to quickly get all people to reduce carbon emissions simultaneously together. The old socialism vs. capitalism straw argument will divide us exactly when we need to unite to save us. 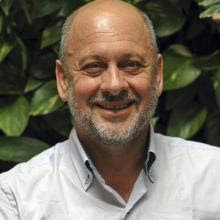 I saw Tim Flannery in conversation with Clive Hamilton at the Melbourne Writers Festival in August 2015 on carbon dioxide removal (CDR) technologies. Some of these technologies show real promise and need more research, development and commercialisation. To actually realize the Paris Agreement goal of "well under 2 degrees C" and aspiring to meet the 1.5C goal, we are going to need such technologies that will provide negative emissions in the later half of this century. Alex, thought you felt strongly all those "second way" technologies was just a buncho conspiracy theory hoopla bull?? Once again, guests are not there to express what I think. I get a range of opinions, from the most dark to the relatively optimistic, to let listeners decide. People want to hear a lot of different voices.